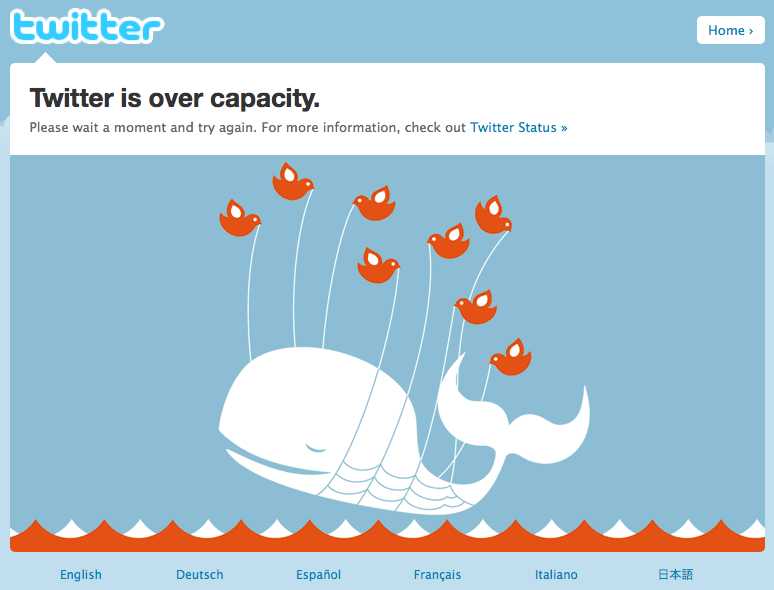 The whale looks far too happy for a site that is down and broken. Besides, don’t whales need to be kept “In The Water” to Live? Not sure what message Twitter is trying to make here, not sure anyone even put any thought into this message, but considering that Twitter is one of the Top 5 LARGEST Social Media platforms on the web, this has to be the #1 complaint we hear about Twitter all the time, something we know everyone would love to have them fix!